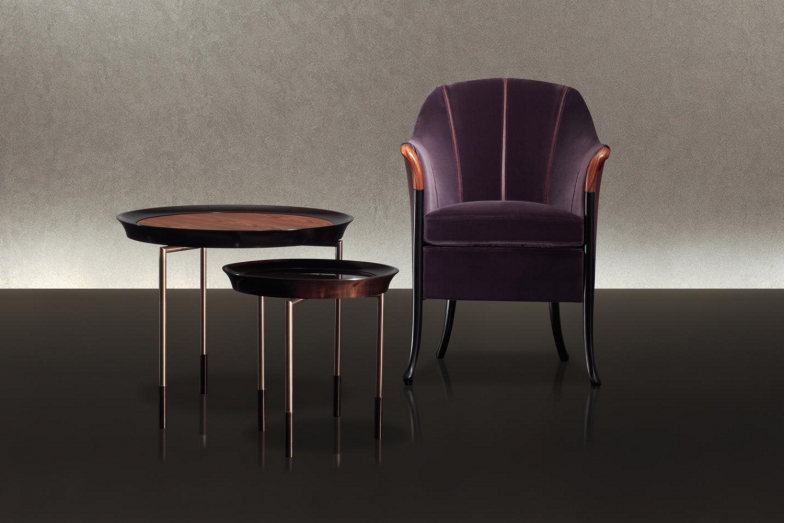 The Athene series of round coffee tables are designed with the top edge in polished solid maple and the top with the insert available in polished pau ferro, in glacÃ¨ crystal glass and in mineral composite. The legs frame is in coated glazed bronzed metal. The foot-caps are in polished solid maple.